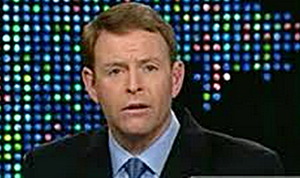 FRC Hate Group Leader Tony Perkins Wants Tim Cook's Gay To Keep The Religious Extremist Christian Away (From Apple). Home/Featured/FRC Hate Group Leader Tony Perkins Wants Tim Cook’s Gay To Keep The Religious Extremist Christian Away (From Apple). Jeremy Hooper over at the fantastic website Good As You is reporting that Family Research Council hate group leader and suspected white supremicist Tony Perkins is upset that Tim Cook, the CEO of APPLE has come out as gay and Perkins is also alluding to a boycott of APPLE products during the HOLIDAY season! Perkins says that Cook’s announcement has “upset the apple cart” . I suppose this jackass has never heard of Hobby Lobby. But then we all know he is incapable of reasonable, logical thought.